​under the blue & white tents! Questions about visiting or vending at the market? Contact our Executive Director, Shelley McGeathy by emailing saginawdsfm@yahoo.com or leave a message at (989) 758-2500 ext. 228. You don't have to have cash! But our vendors will certainly accept cash! 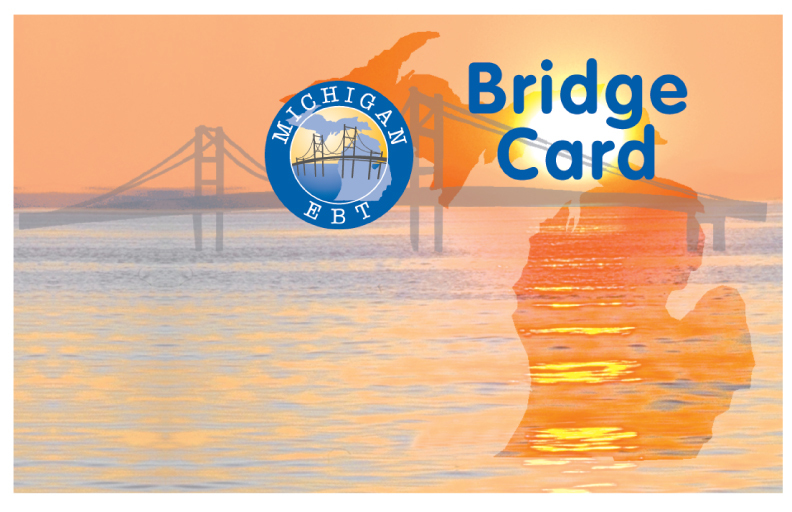 The Downtown Saginaw Farmers' Market is proud to accept the Michigan Bridge Card, credit cards, debit cards, WIC Project FRESH and Market FRESH (for Seniors) coupons. ​Cards (Bridge/Credit/Debit) can be used to get market tokens which our vendors are able to redeem with the market. Convenience and access all in one easy step! 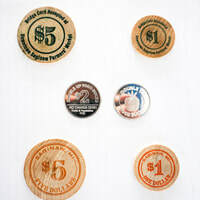 Examples of DSFM Tokens: The green for Bridge Cards and orange for Credit or Debit Card users. Both are available in $1 and $5 tokens. Below are major credit cards and debit cards that we also accept. Double your Bridge Card money up to $20 each day the market is open by taking advantage of Double Up Food Bucks, a privately funded program by the Fair Food Network. That additional $20 can only be used to buy Michigan-grown fresh fruits and vegetables. clicking here to watch a video by Fair Food Network.